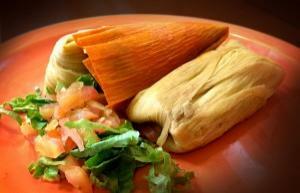 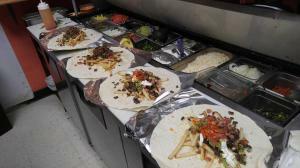 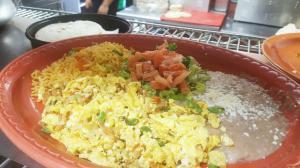 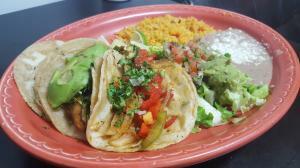 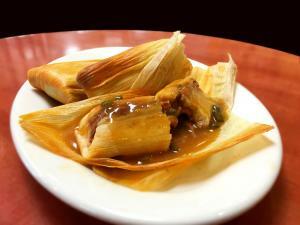 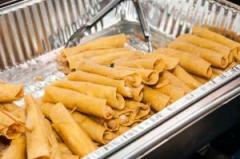 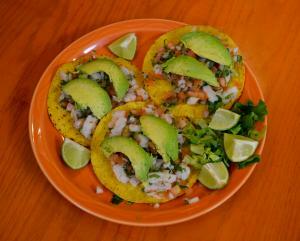 Your choice of filling in fresh corn tortillas, topped with diced onions and cilantro! 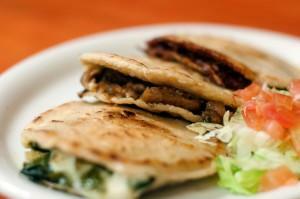 (V)Vegetal - Sautéed red and green pepper, onion, and squash. 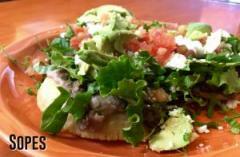 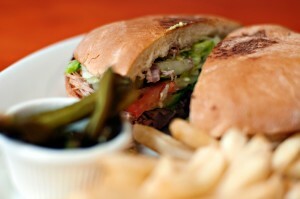 (V)Dorados de Papa - Seasoned potatoes topped with lettuce & tomato. 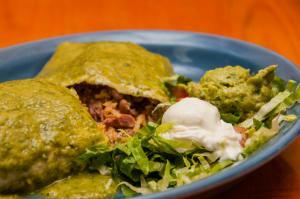 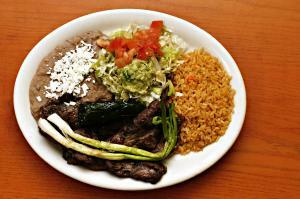 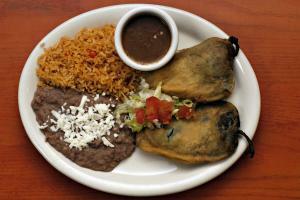 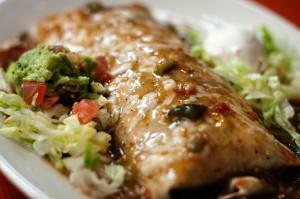 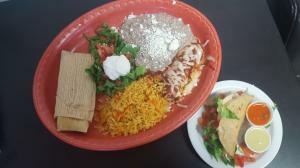 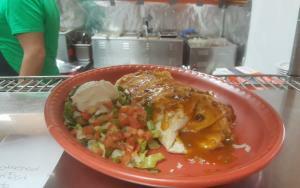 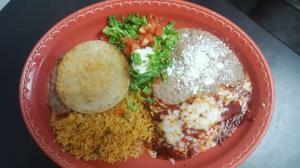 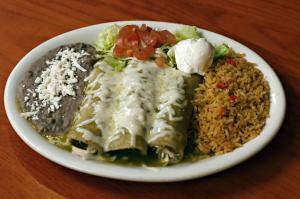 A chile relleno and an enchilada served with rice and beans and a side of green chile. 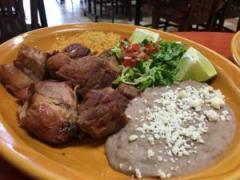 Pork skin marinated in our delicious green sauce, served with a side of rice, beans, and guacamole and your choice of our or corn tortillas. 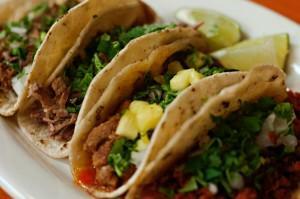 Sautéed pork marinated with lime and pineapple juice, served with a side of rice, beans, guacamole and your choice of corn or our tortillas. 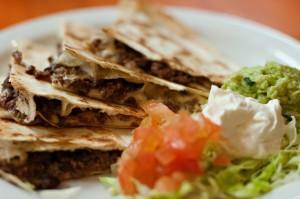 Our freshly made tortillas topped with cheese, pico de gallo, jalapeños and optional meat (pollo, al pastor, or asada) with a side of guacamole and sour cream. 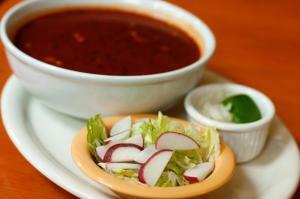 Beef broth soup served with corn tortillas and a small side of rice, diced cilantro, and onions.